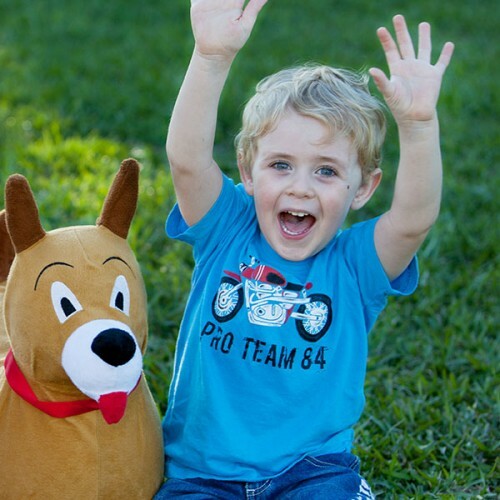 Everyone knows a kid's best friend is his dog…and Buddy the ride on inflatable dog by Zooba is the bestest best friend for any toddler or pre-school aged kid. You'll love watching your child bounce around and fall in love with Buddy, the adorable toy dog and fitball for kids. Buddy is guaranteed to wear out your active toddler and be his most special friend. He'll also help developing muscles, improve coordination and he's 100% guaranteed to never poop on the rug! Like all Zoobas, Buddy is made for quality and to last a childhood of "best friend adventures". 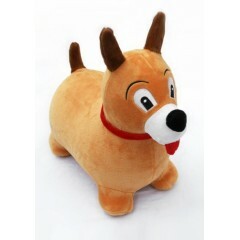 Buddy is soft and safe for kids up to 60kg but should always be used under proper parental supervision. Buddy will become a bouncy, inflatable and much-loved part of your family...get your toddler or pre-schooler the dog he always wanted, right now!